A comfortable and durable combination of botanical latex and a high quality pocketed coil system make the San Juan Hybrid Mattress a success in terms of overall feel and a strength of construction that will perform excellently year after year. Coming in at 11.5 inches in height, it contains 1″ of 75 density botanical latex on each side, sewn into the quilt. The comfort layers feature an additional 1″ of botanical latex on both sides. 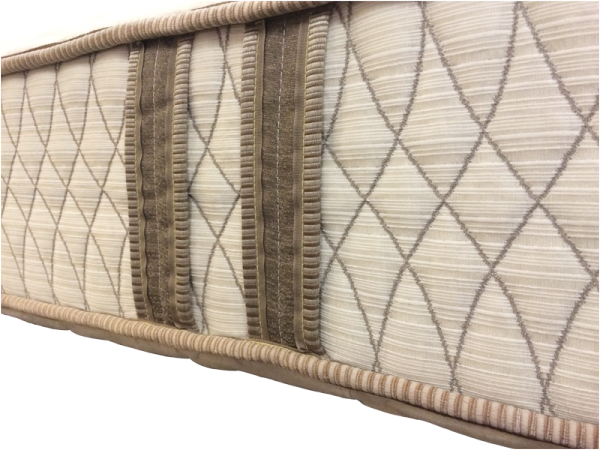 The center of the mattress features 968 (Queen) pocketed coils, each individually wrapped. This mattress has a different feeling than other traditional spring centered support beds. The latex rubber is elastic, so it pushes back versus compacting as a conventional spring does, which increases the overall comfort and support.